Mahadeo Sukhai confidently greets a stranger in the lobby of Princess Margaret Cancer Centre in downtown Toronto, and accompanies her to the elevator. He presses the up button and ushers his guest off at the seventh floor, where he works as a cancer researcher in the Cancer Genomics Program at the University Health Network in Toronto. You would never know the 37-year-old is blind. He was the very first graduate student at University of Toronto to ask for accommodation in the workplace. Today, he leads a team of researchers working on new cancer diagnostic tests, based on genome science and personalized medicine. That’s what Sukhai himself had heard from many people throughout his life. He was lucky enough, though, to meet others, including his PhD supervisor, who offered their support, and allowed his abilities to flourish. “As one of my colleagues once said, you don’t need to be able to see to think,” he says. Sukhai, who was born in Guyana, with congenital cataracts, first became interested in science when he was four years old after coming across a painting by Chesley Bonestell of what the artist imagined the sky would look like when viewed from Saturn’s frosty moon Titan. “It was simple but vivid and I could get the sense of it,” remembers Sukhai. When he was 10, his parents immigrated to Canada to give him and his three older siblings a better future. At 15, Sukhai enrolled at the University of Toronto in the genetics program. By 28, he had finished a PhD in medical biophysics, and went on to complete two post-doctoral fellowships. Along the way, he accepted the fact that he had to become his own advocate to obtain the accommodations he needed in the lab. Accommodating a scientist with vision loss was definitely not something the university had any experience with. “There are always those who, if you don’t fit the mould, won’t lift a finger to help you,” says Sukhai, who required specialized software on computers to help him see images that others could view in a microscope. He also needed an assistant to carry out some of the precise measurements of liquids in the experiments he conducted. Rather than filing formal complaints, Sukhai negotiated with the university. Usually, his approach worked. 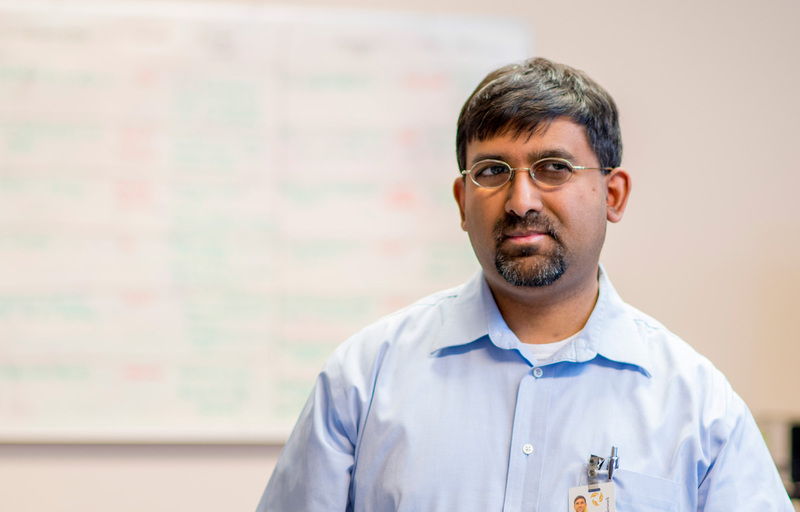 Although to this day, in his role with the University Health Network, he doesn’t have a proper work space—instead, he sits right up next to a large screen in his small office. Sukhai is resilient and tenacious; there was never a doubt in his mind he would succeed. The reality is that fully inclusive workplaces and accessible services are not yet in place for many Canadians with disabilities. Data collected by the Canadian Human Rights Commission shows that half of all discrimination complaints filed in Canada relate to disability in the workplace. 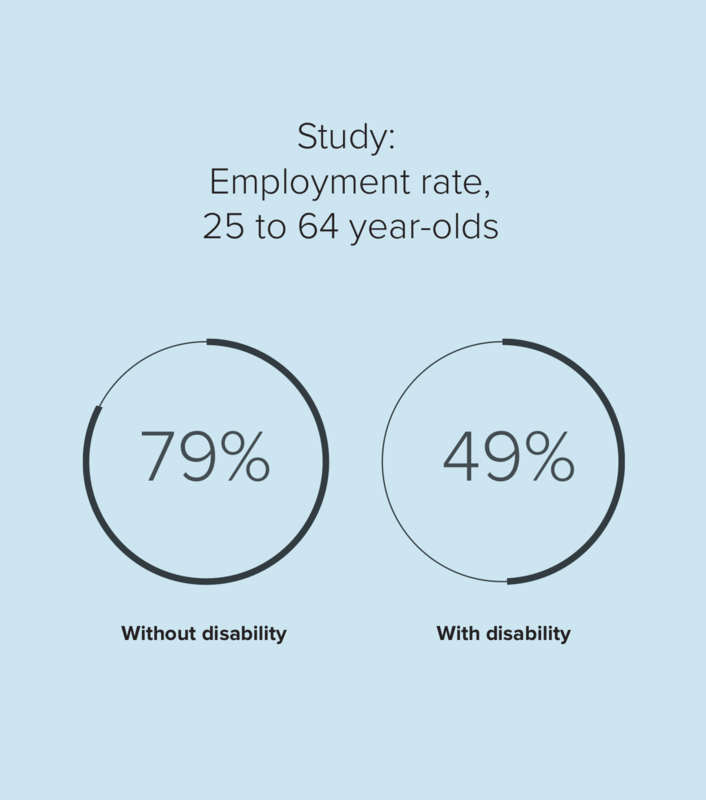 A recent study by Statistics Canada found that the employment rate of Canadians aged 25 to 64 with a mental or physical disability was 49 per cent, compared to 79 per cent for those without a disability. The study also found that employers may hesitate to hire people with disabilities due to a lack of knowledge about disability and accommodation issues, or concerns about cost or legal obligations. Sukhai says even scientists can be prejudiced about people’s abilities, basing their impressions on physical appearance. With half of all the discrimination complaints filed in Canada being related to disability, the Canadian Human Rights Commission continues to call for the implementation of the UN Convention on the Rights of Persons with Disabilities in Canada, and for the full inclusion and equality of persons with disabilities in Canada.